What people are saying about their standing chair experience. 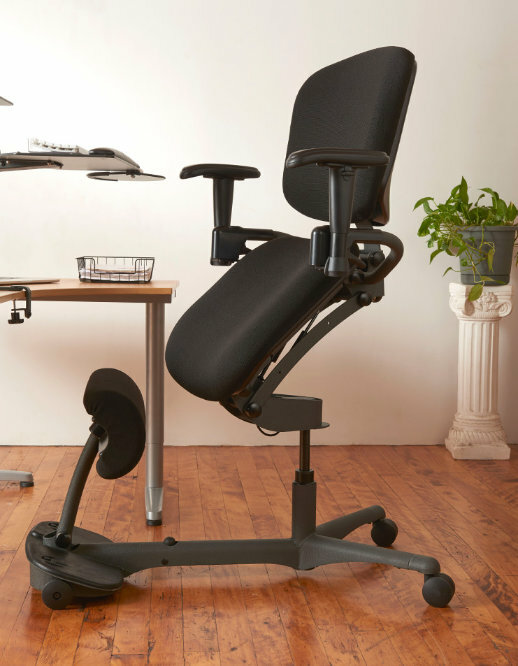 No sit-to-stand workstation is complete without a proper ergonomic standing chair to support your body posture throughout the day. The Stance Angle Chair is the only ergonomic sit-stand chair in the world that allows you to move effortlessly and comfortably throughout the day while you change positions with your standing desk. 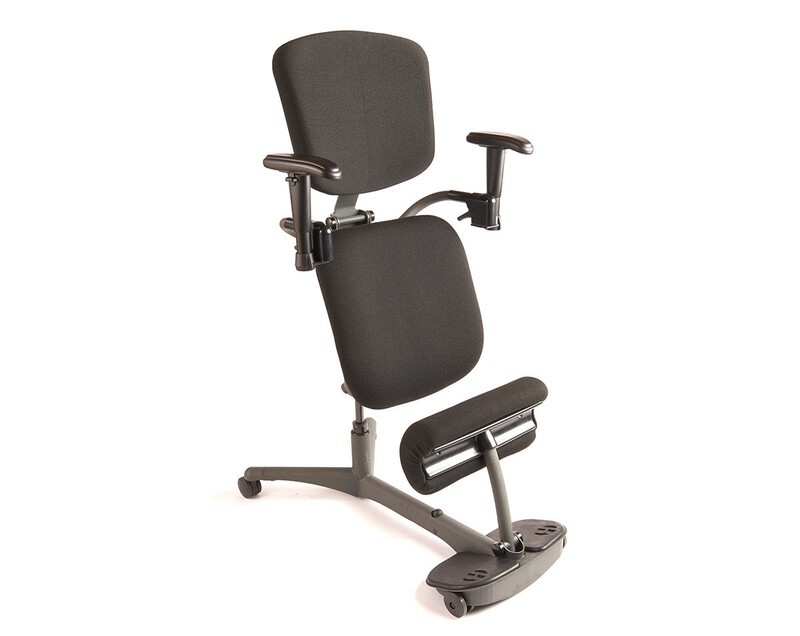 Movement and proper ergonomic support are the keys to minimizing poor posture and lower back stress that lead to spinal deformity caused by most ergonomic task chairs. With a contoured back rest, two adjustable arm rests, and an angled foot rest, the Stance Angle stand up chair for standing desks will keep you comfortable all day. This modern ergonomic sit-stand chair will cradle you as you work at your desk, revealing a multitude of positions such as sitting, kneeling, and assisted standing. This is all accomplished by the adjustable leg cushions and the double trigger mechanism that allows the standing desk chair to move vertically as well as at an angle, all with very little effort.